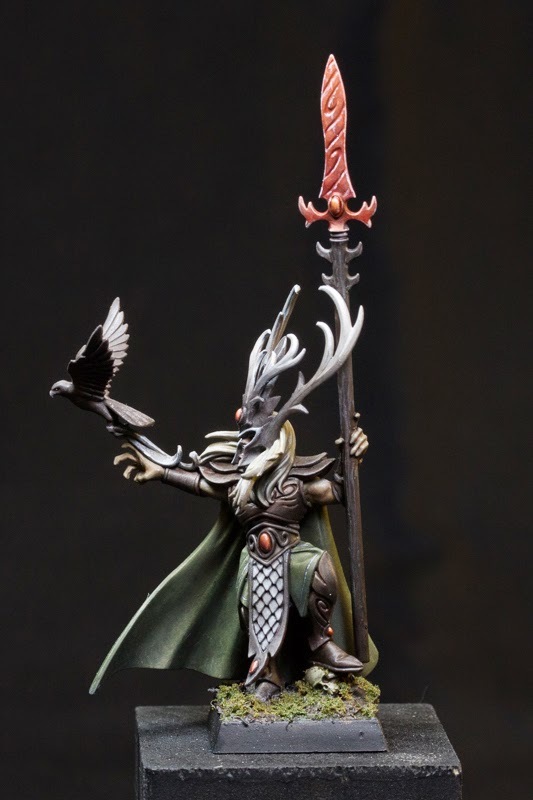 here´s a miniature I finished already some weeks ago (some time back in 2014), but as I didn´t make good photos for a while I haven´t shown him already. 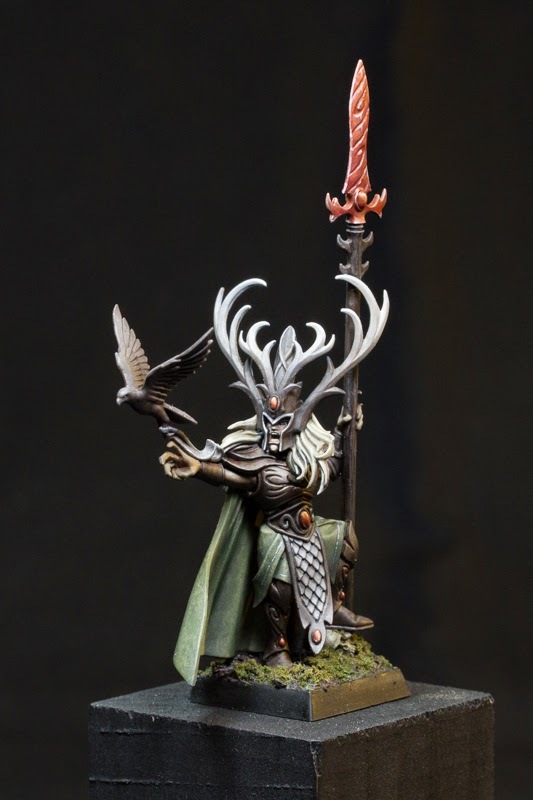 Basicly he´s isn´t painted superfency but I had fun while painting him and diving into the imagination of him hunting and searching his prey through the woods of Athel Loren. 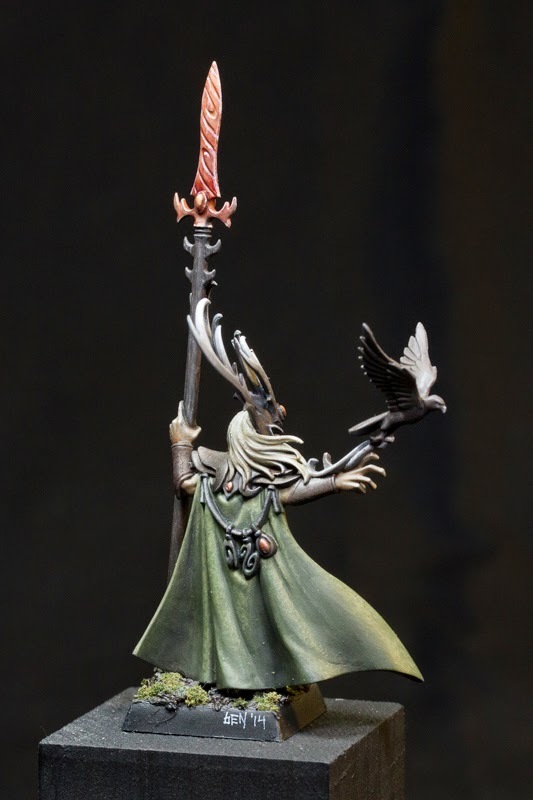 The miniature is Araloth from Games Workshops Warhammer Fantasy range as many of you might have recognized. Normally he carries a shield with him, but I wanted him to be a little bit more light weight equipped so he left his shield at home in my version. I also painted him very desaturated because I liked it that way in the time I painted him. Nowadays I could imagine him a bit more colorized in some areas. 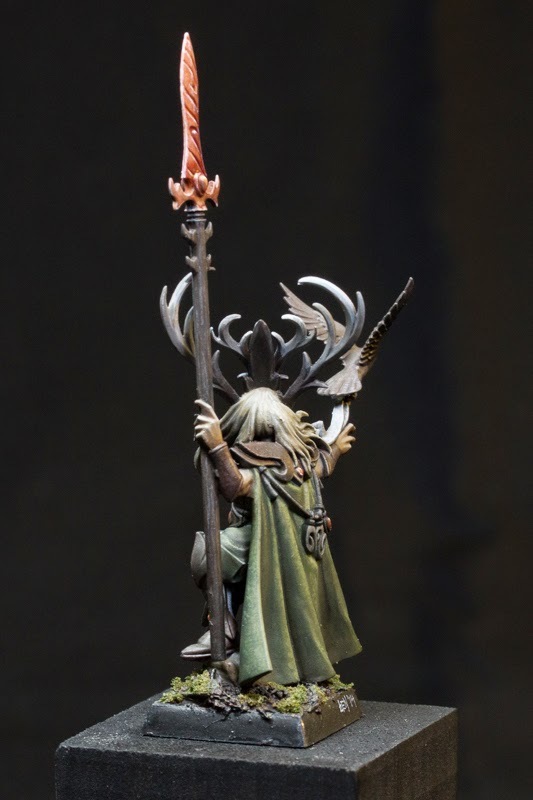 But as with every miniature you can create multiple versions in your head which all would look good but most times you will only paint one version of those. Still in my opinion an elf in the woods shouldn´t be too colorized and bright, because that would destroy his stealthyness. Well, I hope you like him, even if he was more like a relaxing project for me. The only thing that I find strange is the blade and gem of the spear entirely red. @ Wh0: I understand your critique. I was thinking about another color for the gems, but ended up with red because it seemed to me as best fitting in the whole color scheme of the figure. Imagining that the red of the spearblade is some magic glow I think it can work. Although it surely is a bit unusual ;).